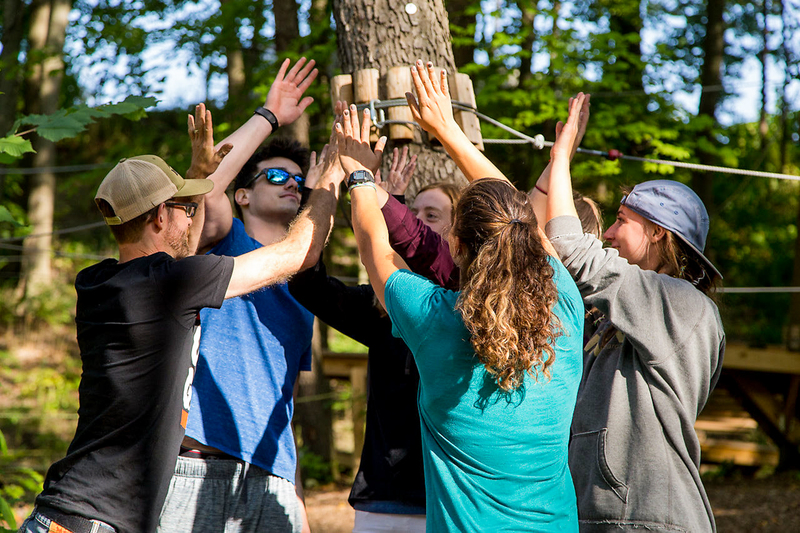 Team Building in the trees is a fun, effective, and unique experience. Our Team Building experience can vary depending on the group needs, the team dynamics, and leadership goals. Our Team Building programs are tailored to effectively meet the varied needs of your group. To help us understand what your group is seeking in a Team Building experience, we recommend filling out the form below. After we receive your form, we will begin to plan your completely customized experience. What Are Some of the Benefits of Team Building? Through our Team Building programs, we work with strong and capable teams, as well as inconsiderate and uncooperative teams, and teach them how to work better together through our guided facilitation. 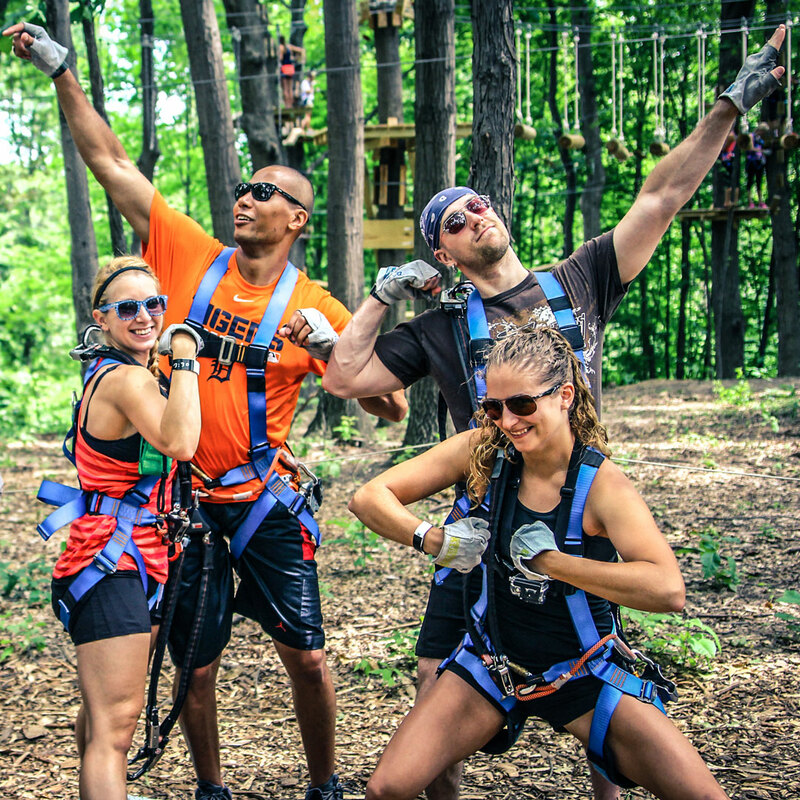 What Does a Team Building Experience at TreeRunner Look Like? Our objective is to provide a life-changing experience that helps your team reach or exceed their goals. 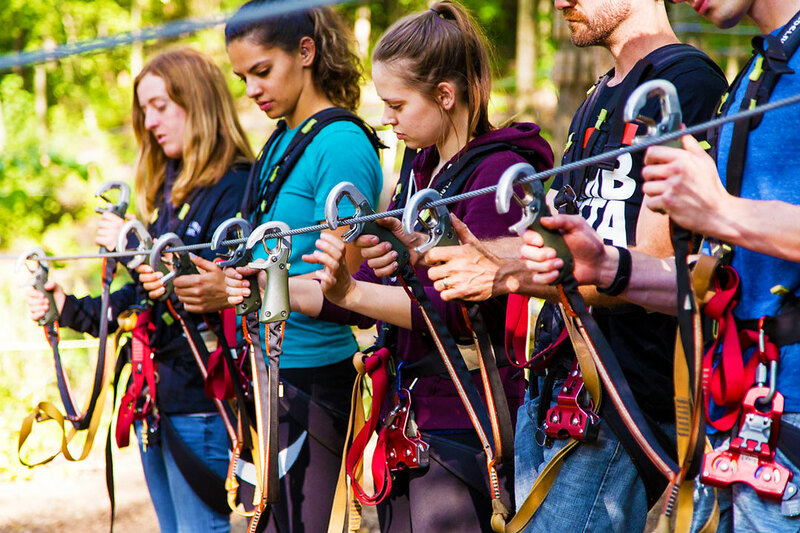 Why is Team Building at Our Park Effective? The responsibility of our facilitators is to help people learn. We do this through applying deliberate experiences to relevant activities that are designed to increase motivation and promote cooperation. Our facilitators are trained to ensure that they have the tools at their disposal necessary to accomplish your group’s goals. Each group receives a custom experience. Should you rebook with repeating participants, each experience will still be different as the dynamics of the group evolve over time. Interested in a Team Building Package? Please complete the form below.